The lightweight steel chassis, the low center of gravity, the low kerb weight and the performance of the engine - available as naturally aspirated or biturbo - all add up to the spectacular dinamism of the F&M Evantra besides the balance of the car makes it absolutely at home on any racetrack or on a remote mountain road. 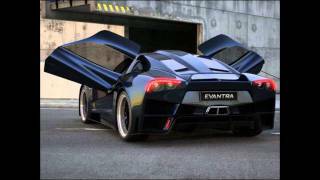 F&M Evantra will be produced in a limited series, only 5 per year, of which the first has already been commissioned and will be presented in mid 2012. 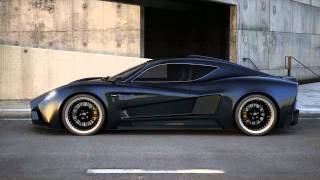 The production-ready version of a new supercar - the F&M Evantra - is born from the project "Mugello". Following the F&M tradition the name comes from the ancient etruscan language and it represents the concept of an object which is unique and exclusive, in fact, Evantra for the etruscan was the goddess of immortality. 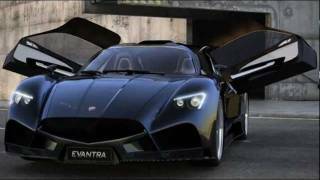 F&M Evantra will be produced in a limited series, only 5 examples per year, of which the first has already been commissioned and will be presented in mid 2012. 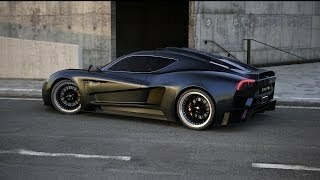 The extreme personalization by its future owner of each car produced will be supervised personally by its creator, Mr. Luca Mazzanti in the new atelier "Mazzanti Automobili" in Pontedera. The lightweight steel chassis, the low center of gravity, the low kerb weight and the performance of the engine - available as naturally aspirated or biturbo - all add up to the spectacular dinamism of the F&M Evantra besides the balance of the car makes it absolutely at home on any racetrack or on a remote mountain road. The bodywork is produced in two different steps, the first called PRO-BODY: made of composite materials, which is always available, or the second, called ONE-BODY: entirely hand crafted, all aluminim body, personalized by the client. With this option the client can have a project dedicated exclusively to the single vehicle, virtually building a One-off.